With more and more companies coming into Seletar Aerospace Park, this buzzing industrial park will soon transformed into a lifestyle hub. The 11.5 hectares Oval Estate which consists of 32 bungalows will have 6 of its houses converted into lifestyle business. There will be 3 restaurants within it. 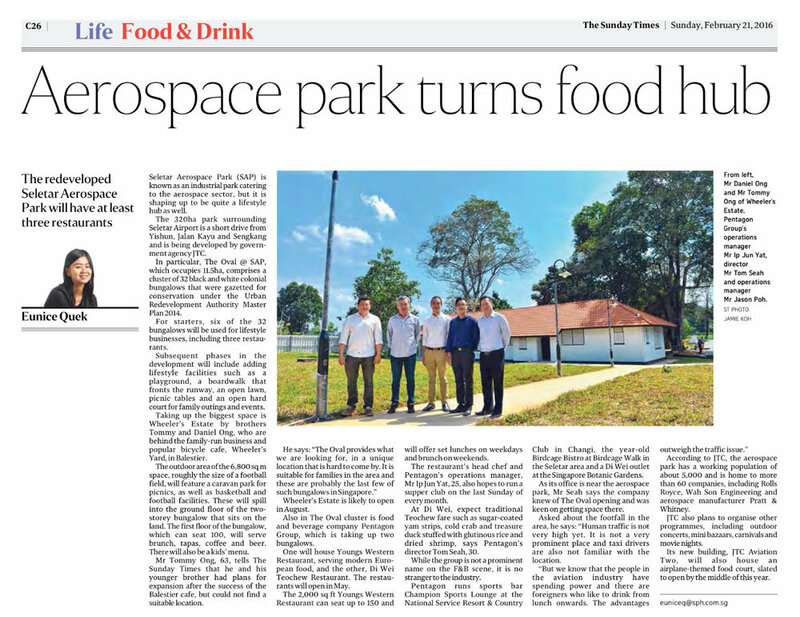 Lifestyle facilities such as basketball and soccer facilities and a caravan park for picnics will also be built within Seletar Aerospace Park as well.